It's That Massive Sale Time of Year! Our Christmas Sale will start Wednesday Nov. 25th and end Friday Nov. 27th. So here is an early bird look at what's on offer this year! Full or Mixed boxes, available in the following colours: jet black, old white, ultimate white, plain white, wine, navy, sun, cricket green and fire. Full or mixed boxes of 3mm and 5mm available. Introduction and creative courses for those starting out or those wanting new skills we have a course for you! note: freight applies to all orders and if you are in remote areas surcharges apply.Some items are limited in stock and may run out before the sale ends. 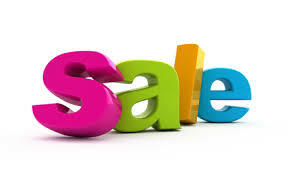 Once the sale ends we collate the orders and place a bulk order with our supplier. Orders will be shipped as soon as we receive the bulk order in ealry December. JET BLACK, OLD WHITE, ULTIMATE WHITE, PLAIN WHITE, WINE, NAVY,SUN, CRICKET GREEN AND FIRE. Add Lifetime FrameCo membership to your specials order for only $225!